We give them reign to roam. 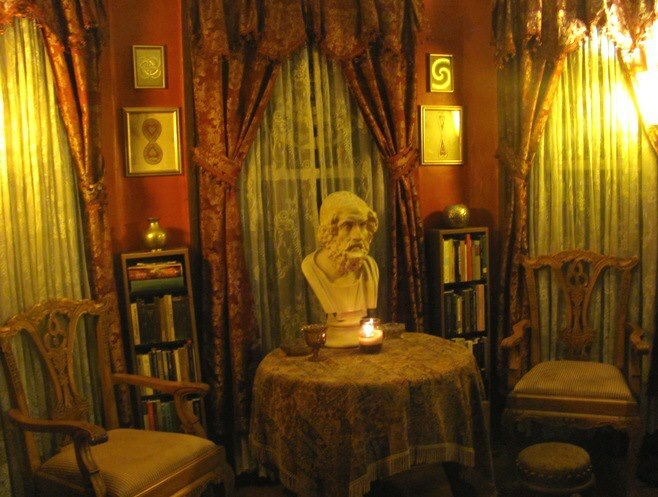 The first time I visited Robert here in what has become “our” home, we painted the receiving room red and named it “The Red Salon.” We decorated it and filled it with his many poetry books, and it became our magical space for reading aloud to each other, discussing poetry and musing. The Red Salon also became our imprint for our own chapbooks (and now our perfect-bound books). We’re also glad to share the work of close family and friends under this imprint. As with Middle Island Press, we are currently unable to print our chapbooks from home and have converted much of the early chapbook content to perfect-bound books. I do miss printing chapbooks and hope to do some special editions up the timeline.